We are committed to excellence! Don’t just take our word for it read what recent home buyers and sellers have to say! We chose Casey Cooke for several reasons. First, it seemed like everywhere we went in North County there was a ‘For Sale’ sign with Casey Cooke’s face on it. Secondly, most of those signs had ‘In Escrow’ on them. We wanted to go with success and the numbers pointed us in Casey’s direction. After we sat down with him, we were convinced we’d made the right decision. He instantly made us feel comfortable and assured us that he could help. The best part of the process was that Casey kept us in the loop every step of the way. He made recommendations that proved to be accurate and led to the final sale. Every time we started to lose faith, Casey reeled us right in and assured us everything was going to be OK. Casey did everything possible to get us the best deal on the sale of our home and he also facilitated our needs in finding a new place. As it turned out, we got everything we needed and were able to make a successful move – all thanks to Casey Cooke. Overall, it’s not just that Casey was a tremendous asset for us to sell our house and relocate us, it’s also that he was the consummate gentleman and professional. I believe that he was genuinely concerned about the greater welfare of my wife and I and that he went way beyond what any other Realtor would have done. I can’t thank him enough or possibly repay him for his honesty, integrity and professionalism. CHECK Out My Written Easy Out-No Hassle Listing Guarantee!! Our Performance Guaranteed or You Pay Nothing! Click Here for Details!! Having known Casey for some time, I knew he was the right choice when it came to selling my brother’s estate. He has a proven success rate and I knew he’d help me sell within my set timeframe. I was confident in his real estate knowledge, especially for the North County. I can tell you this, Casey does his homework and has a great read on the local market. That, along with his work ethic are two big reasons why he is one of the best. After Casey’s initial walk-through and assessment on the home, we came up with the perfect game plan to sell fast. He assigned both of us projects and we hit the ground running. Casey had a good listing price in mind and recommended some easy improvements to help increase the value of offers. From painting and drywall repairs to copies of the trust and executor documents, we worked as a team to make sure everything was dialed in for a hassle-free sale. Casey has a great network of resources that you can trust. He also has creative solutions and answers for any problem. If he doesn’t have an answer for you, he will immediately research the question and actually get back to you with a quick response. It was refreshing to have such great communication throughout the whole process. There were also tenants living in the house when I sold it and Casey was great working and communicating with them, as well. Overall, I was incredibly impressed with my experience. On a scale of one to 10, I have to give him 100. He went above and beyond to get the ball across the goal line. We needed to sell our home as we were moving to Rome, Italy to be near our only daughter and her husband when our future granddaughter is born. My brother is a real estate agent in Texas and had offered to find us the best Realtor in the area. He interviewed three agents and recommended Casey Cooke. It was a great referral as I was extremely impressed with Casey. He is personable and very knowledgeable. My wife and I both immediately felt that he was the right agent for us and that he would help sell our home quickly. Selling our house fast, but for the right price was important to us since we had already purchased our plane tickets to Rome. With Casey as our Realtor, our home not only sold quickly, but it sold for more than the asking price. Casey has put together a fantastic team of experienced and caring professionals who are willing to go the extra mile to help with whatever needs to be done. Jenniffer was great help. It was a stressful time since we were having to sell our home of thirty years and leave behind many personal items that we could not take overseas. We had a limited time to have the house painted and make some additional improvements, decide what we could take with us, fill our suitcases with as much of our valued belongings as possible and figure out how to dispose of things we could not take with us. Thanks to Casey and Jenniffer, the sale of our home was the least stressful aspect of our move to Italy. Casey provides the whole package and has a fantastic network of contractors. He recommended an interior decorator to make suggestions for staging our home. He recommended a gardener who was able to quickly put in some ground cover in the front of the house and recommended a couple of estate sales companies to help us sell furniture and other items we could not take to Italy. He also sent over a truly professional photographer who took wonderful photos of the house. Both Casey and Jenniffer helped find a handyman to make some agreed upon repairs and they made arrangements to let the handyman and later the termite company gain access to the house – all after we had left on our airplane! Thanks, to Casey and Jenniffer, we were able to peacefully enjoy our new home in Italy while they took care of everything that was necessary to complete the escrow process. The whole experience went smoothly. It was a great pleasure dealing with such professional agents like Casey and Jennifer. 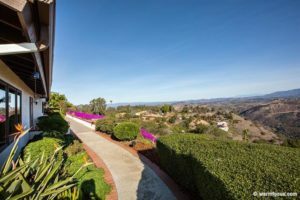 If you want the best agent in the San Diego area, you must go with Casey Cooke. CHECK Out My Written Easy Out-No Hassle Listing Guarantee!! Our Performance Guaranteed or You Pay Nothing! Click Here for Details! If you’re looking for a strong first impression from a Realtor, Casey is your guy. He is very personable and exudes a likable air of confidence. That’s why I hired him. I liked his style. He had a strong handshake and he backed it up with strong data and sales numbers. He was very straightforward and explained everything in detail. I knew he could do the job and felt he would do it well. I felt like I could completely trust Casey, as well as Jenn. They were doing so much behind the scenes, yet constantly kept me informed about what was happening as they kept in touch frequently. I had a lot of my plate as I was closing two homes around the same time, in different cities so having good representation on my behalf with Casey was a huge relief. It was just a very positive experience from start to finish. I will definitely use him again when I look to sell my future properties. During my first meeting with Casey Cooke, I could tell that he was a capable agent. He was a top sales agent in the area and was very helpful when answering my questions about the home selling process. He seemed like a fair and knowledgeable person, and I wanted to give him a shot. I’m glad I did. Casey and Jenn did a great job, and they did so in a short period of time. They were helpful and creative when it came to repairs, making everything easy. I would recommend them for anyone looking to sell. The whole process went fast for me, and it was a very smooth transaction. I was introduced to Casey Cooke from a neighborhood mailer I received several years ago. At that time, I was just starting to think about selling, so I called his office and we chatted. I got the overall sense that he was not just an authentic person, but that he was also capable, professional and had all the traits and experience you would want in a Realtor. I was really impressed with fact that he was a strong home marketer. I could tell he understood how to work around the complexities of today’s social media savvy pool of buyers. Fast forward two years and I was finally ready to sell. I called Casey up with no hesitation. Within three weeks of listing our home, we received a winning offer. As with many home sale transactions, we had contingencies. Contingencies are always a little nerve wracking – especially during the holidays which was when we were selling – and I had a little anxiety about whether or not everything would work out. Casey was calm through it all, which was extremely comforting. I also felt that Jenn was a great complement to Casey. She was always professional, warm and engaging going above and beyond to make things easy on our family when potential buyers were touring our home. I really can’t say enough about our experience with Casey Cooke and his team. They completely exceeded my expectations. He took good care of us and I’d use him again without a second thought. 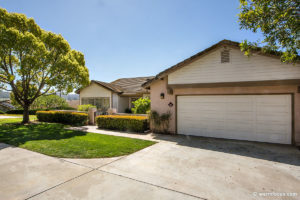 We had worked with Casey Cooke to buy a home in San Marcos, CA. It was our first real estate experience and we felt like he not only guided us well, but he helped negotiate a good deal for a home that suited our lifestyle. That was five years ago. Naturally, when it came time to sell, we returned to Casey. It was a sellers’ market on one hand, but also a challenging market in some respects. We received multiple offers on our home. The first buyer ended up dropping out, but we had another offer the next day thanks to Casey’s marketing and persistence. Casey also did a great job keeping us calm as we navigated the water with our buyers. He even began working with the sellers of the home we were trying to purchase out-of-town! Casey was our local selling agent, yet he actively worked to keep our purchase deal together on a home we were trying to buy that was 500 miles away. I appreciated his help keeping that process on track. That should have been on our buying agent, but we trusted Casey more in making it happen and he did quite a bit of extra legwork to keep our purchase on track without anything to gain from it. Casey was confident and managed to keep things under control when our buyers weren’t holding up their end. He gave sound advice and went above and beyond to take care of us as his clients. We definitely recommend Casey Cooke and his team. Casey has a great personality and enjoys his job, which makes working with him painless. I only had a few days to look at homes to buy so we ended up touring at a lot of condos in a short time. Every home visit was easy and pleasant with Casey. He was willing to take me anywhere in the county and not only listened to what I was looking for, but also kept me in my price range. My expectations were met and more! Casey and his team jumped on any problems that popped up. For example, the inspection report came in with small things that needed fixing. I was out of state, yet they still got done. Also, my garage door opener did not work. I bought a new one and Casey took it upon himself to program everything. I was completely impressed. Casey is friendly, listens and goes out of his way to make your life easier. I definitely recommend him. When I found myself needing to sell our home, a contact of mine – who had recently worked with Casey Cooke – recommended his team to me. I was looking for a Realtor that was honest and direct, but that would also be flexible and accommodating to my schedule. Casey’s team was that and more. They were knowledgeable, helpful, considerate and always available. 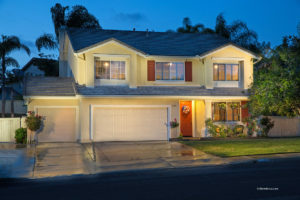 Casey’s team provided realistic information and took my family into consideration during showings. Jenn was great, too! She is easy to talk to and was patient and understanding regarding my families’ time. During the process, I always felt confident and secure that my house was in the right hands. All questions and concerns were answered immediately, and issues were resolved in a timely manner. 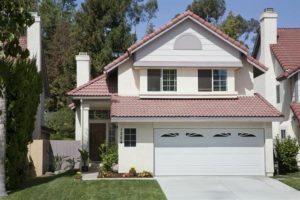 For example, one concern I had at the beginning of the process was if I would have to carry two mortgages or rent if an offer on my home fell through and I had moved. Casey was able to explain and give me solutions to help minimize that risk. At the end, he sold my home for a great price in no time at all. Every expectation was met. I wanted to sell my home quickly. Casey’s team was able to not only sell my home for more than I expected, but faster than expected, as well. Still Haven’t Checked Out My Written Easy Out-No Hassle Listing Guarantee!! Our Performance Guaranteed or You Pay Nothing? Click Here for Details!! My wife and I were looking at the real estate market in 2008 and saw Casey’s name on a sign in the Ivey Ridge neighborhood in Oceanside. We didn’t have any other real estate contacts, so we called the number on the sign about that specific listing. 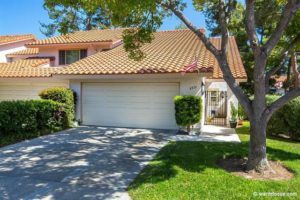 Casey immediately won us over with his knowledge of North County and his knowledge of the specific listings we were interested in. I recall one home in particular in Vista with a pool. Before we even gave him the house number he knew the property and steered us away due to an issue the home was having with the engineering of the pool. Within a couple of weeks, he helped us find the perfect home to start our family. As first-time home buyers, he was amazing at walking us through the entire process. Nine years later we decided to sell and move out of state. Over the better part of a decade, we had made friends and contacts in the real estate business; however, with no discussion we reached out to Casey to help us sell our home. Again, his knowledge of the market blew us away! Our listing price seemed higher than we expected to list at, but Casey had a full price offer within 24 hours of our home hitting the market!! Once again, this was a first for us. Casey and Jenn were there every step of the way and helped us sell a home for the first time. I will certainly recommend the team to our young friends who are looking to buy their first home! I decided to sell my house a year before actually putting it on the market. At that time, my son contacted a friend to ask if he knew of an agent in the Vista area. Casey Cooke was the agent that was recommended to me. My son told his friend that I was not ready to sell yet. That said, Casey still sent me an introductory letter and respected my wishes to wait for me to call him when I was ready to sell my house. I kept his letter and a year later, I decided it was time to sell my house and had my son call Casey to set up an appointment. Selling your home can be stressful experience. Casey, Jenniffer and the rest of the team know the process inside and out. They were professional, proactive, and responsive when I needed them to be. 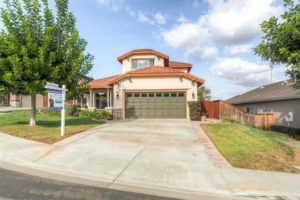 The team took care of every phase of the selling process from the initial listing to the close of escrow and everything in between. Casey and his team provided valuable advice and assistance that was important to me. I had an excellent result and received above asking price for my house in less than a month. Casey and the team truly went above and beyond my expectations. I could not ask for a more pleasant and positive experience. Casey Cooke and Jenn make an awesome team! I first learned of Casey from a friend and coworker that had just sold her home with Casey and Jenn. I was looking for a rather specific type of property: I wanted a property with outbuildings for a small business. Casey was very good at understanding what I was looking for and assisting me to locate the perfect property within my price range. Integrity is one of the biggest things that concerns me in a realtor. Once I really got to know Casey, there was no need to be concerned. In fact, the entire team -Casey, Jenn, Brett – and each of the referrals for repairs, were highly qualified and honorable. Casey and Jenn worked great together, and had all the resources necessary to help with the buying AND selling of my home. Everything was exceptionally coordinated, and the timing fell in to place perfectly. I am quite certain that was not just luck. Casey and Jenn had everything in place and complete down to the final paperwork. They coordinated everything so well that it made the move much easier. I also really appreciated the knowledge Casey was able to give regarding how best to upgrade my home and prepare it for the market. He is very adept at following the market and knowing realistic price points. He was never misleading or vague with the facts. This was one of the things I appreciated most. Helpful, kind, considerate, knowledgeable, skilled, straightforward, and absolutely GOOD people. It doesn’t get any better than that. We wanted a Realtor that was all-around professional…committed, honest and level headed. It was a very busy time for us and we needed someone who could just get the job done. We knew Casey from Rancho Buena Vista Little League and loved the fact that he would give back a percentage to our local teams. We quickly came to see why Casey and his team are so highly recommended. With Casey as our selling agent, the sale of our home went great; however, we ran into a few issues with the purchase of our new home. First, the agent representing the sellers of the home we liked was not very professional and was extremely rude. Christine did a great job at handling our frustrations and letting us vent, while diffusing potential situations and keeping our eyes on the big picture. Then, even after the close of our home when the money was all exchanged, Casey took care of hauling all the trash that was left behind from the previous residents. He took the time to call someone and schedule the pick up, and he even paid for it making one less thing for us to worry about. We were about to take on a full renovation so it meant a lot to us that he handled all that. Those are just two examples of how Casey’s team went above and beyond. We were impressed throughout the whole process. Property transfers are usually never seamless, it is important to have someone who will really look out for your best interest and not just their pockets. When things go off track a bit, you need someone who will represent you professionally. Casey’s team did just that! They know the business and work well together. They are extremely professional and always take the high road. We LOVE our home and can’t thank them enough for their efforts in helping us own it. 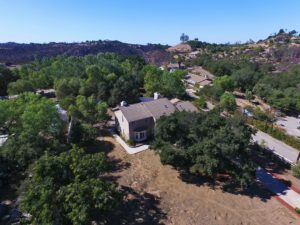 We live in Sedona, AZ and were selling a house in Oceanside, CA. 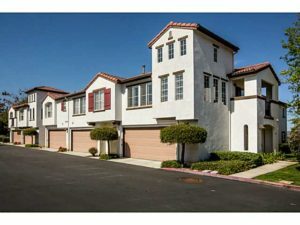 I did a quick search online for agents in Oceanside and Casey Cooke popped up. I was impressed with his credentials and even more impressed with his character. Casey is the first and last broker you will ever need. He is attentive, kind, friendly and will go above and beyond to do what is necessary for you. He is also a straight shooter. He makes his points, explains what needs to be explained and then gets things done. I would recommend he and his team to anyone on this planet! Casey and I worked together before he was in real estate, so I’ve known him for quite some time and prefer to work with people I know. Plus, you can’t drive through Vista without seeing Casey’s face on a sign somewhere. To me, that says a lot. As expected, we ended up having a great experience with Casey and his team. We listed on a Thursday over a long holiday and we had a full price, cash offer by that following Tuesday! It was a very smooth process. Jenn was wonderful and took great care in handling the documents and explaining all the details to us. Our deal was a little tricky in that we sold our Vista home prior to finding exactly what we wanted in our new home. 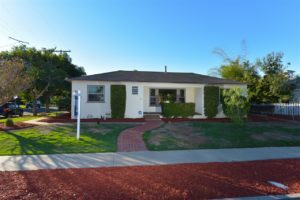 However, Casey helped us negotiate a 90-day rent back, which gave us enough time to fall in love with our current Valley Center home. Working with Casey made the process easier because he was very candid and open with his recommendations. He advised us on what to do and what not to do to ensure a smooth and uninterrupted escrow process, and he continued to follow up with us once all the transactions were done. We definitely recommend Casey and his team! 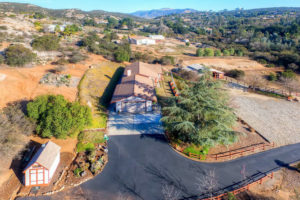 Casey Cooke had sold one of my friend’s horse properties in Valley Center and it sold very quickly, which is one of the reasons I approached him to sell mine. He took it on as a listing with no question. I knew he would be a good Realtor. What I didn’t know is how wonderful Jenniffer would be – she is the perfect counterpart! Casey and Jenniffer are an awesome team and work incredibly well together! Casey was on top of every single thing possible and Jenniffer literally bent over backwards to make things happen. When it came to listing my home, Casey listened to me, he took my suggestions and he respected my wishes, which meant a lot to this country gal. I was really impressed with his experience and expertise. He is very good – aggressive, personable, and boy – does he know the market! He also knows the right people to get the job done with a great network of contractors and vendors. I used their recommended companies and it was a slam dunk when it came to escrow. I will definitely use them again and again for my real estate needs down the line. We LOVED our Realtor, Casey Cooke! I’m not sure there’s anyone in our professional service network that I’d recommend as highly as him! We’ve worked with Casey twice now. He’s one of the top realtors in North County, but he and his teammate Jenn make you feel like you’re his only client. He’s super knowledgeable about the process and is incredibly responsive, but never high pressure. He’s also a biotech former sales exec, so he totally gets sales and execution and spends time building rapport with other agents and mortgage brokers, etc. to keep everything moving smoothly. Our most recent sale was very tricky… We feel super fortunate to have had the chance to work with him – I’m not sure there’s anyone in our professional service network that I’d recommend as highly as him. We listed my house on a Monday and I had accepted an offer by Tuesday night. 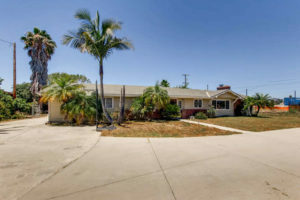 In addition, the house sold for all cash in a 14-day escrow so it was a no-hassle closing as well…. I’m very glad I chose Casey as my Realtor and that I trusted him to do his job. Casey is a nice guy and is easy to work with, but above all, he knows what he is doing. I give him an 11 on a scale of 1 to 10! All I can say is it pays to listen to Casey Cooke. I was first recommended to Casey by a broker in the Ocean Hills neighborhood, which indicated to me that Casey’s peers respected him and that he would be a good choice. I called him up, arranged an interview and felt he was a confident and savvy professional who knew what he was doing and had his eyeballs on the market. When it came to selling my home, Casey just made it happen. We originally listed my home in late 2014. After some time on the market, I accepted a full-price contingent offer that unfortunately fell through. Per Casey’s recommendation, we pulled the listing with the intent to relist in 2015. When it came time to relist, Casey said he was sure the home was priced right, but that potential buyers might be getting hung up on the furniture I had. It was very colonial and Casey noted that it might be hard for people to see themselves living in the home. He recommended emptying the house completely. I trusted his instincts and did just that. My house sold so fast I still can’t believe it! We listed my house on a Monday and I had accepted an offer by Tuesday night. 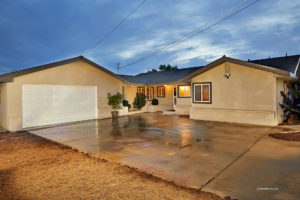 In addition, the house sold for all cash in a 14-day escrow so it was a no-hassle closing as well. I received Casey’s card from my friend’s neighbor who had met with Casey and was planning to list his home with him. After my first call, Casey quickly came to my home to meet with me about my needs. He took a lot of time to listen to my situation and he helped me see the whole picture regarding the selling and buying of houses. From the moment I listed my home, Casey was 100% available, even late into the evenings. He immediately responded to all my needs during both the sale of my home and the purchasing of my new home. He was respectful and I could easily talk with him about all of my concerns. I appreciated his straightforward advice as situations arose and I could tell that my best interest was always his priority. Because of Casey’s exceptional Realtor knowledge and experience, his services were beneficial to me as both a seller and a homebuyer! Happily, my home sold in just two weeks. The purchase of my new home wasn’t quite as easy, but Casey never once wavered and he accomplished what needed to be done on my behalf. 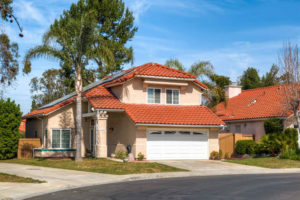 He successfully negotiated a price reduction after the contract was signed based on needed repairs that became known after the home and roof inspections were completed. He made repeated contact with the seller’s agent regarding a variety of problems she was failing to address, and he even came to my rescue by speaking to the seller’s son-in-law regarding a trash issue when the seller did not move out on time. Casey truly does handle everything that the sale and purchase of a house might entail, and he is such a pleasure to work with. 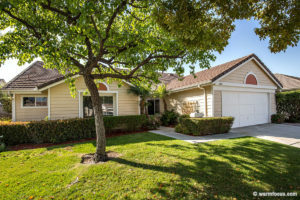 I highly recommend him to my friends and any prospective sellers in the North County area. My husband Guy and I decided to list our home because we were exhausted from a two hour commute. We had made a decision to invest time and money into making it a turn-key ready property. This could not be done alone; therefore I began to research North County agents. I searched for weeks on Google, etc. and researched how many awards each agent had received. Casey Cooke by far had won all the prestigious awards. In my opinion that was an indicator that he would get the job done. We ultimately chose Casey because he was sincere in his approach, asked many questions and was willing to wait as long as it took my husband and I to have our house in turn-key ready condition. Many agents would have passed us up or convinced us to sell as is for commission. Not to mention, he was reliable on his information and appointments. I would recommend Casey Cooke because he is a hard worker and aggressive in a subtle manner. He is not pushy and understands what the seller has in mind. He is a focused individual and will help you on details that you as a seller or buyer will not think of due to stress, work, etc. For our initial meeting with Casey, I had a small research file on him. He arrived in a battlefield of construction and came prepared with a video and an information packet. He then would periodically drop by to check on our progress. We had six offers within six days of listing the house on the MLS. We sat down with Casey and looked at our offers strategically and we sold our house in six days. We know very well that not all agents have the success Casey does. 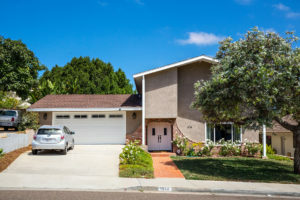 He is a devoted individual and understands the North County market well. I was very impressed. He surprised my husband and I on how detail oriented he was. If I were to move to North County again, I would call Casey. What a wonderful experience from beginning to end. We had a tricky deal on our hands because the people we bought our current home from wouldn’t agree to a contingency clause on the sale of our previous home. This meant we had to submit an offer on our new home without having first sold our house. I stressed to Casey that we needed our home sold FAST so we wouldn’t be stuck with two mortgages. 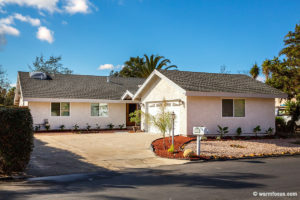 With Casey’s awesome marketing, negotiating and sales expertise, and his eye for helping us cleanup and stage our home, we went into escrow in just FOUR days! We were originally going to have my parents co-sign in order to get our loan, but because Casey got us into escrow so quickly and negotiated a shorter escrow at 25-days, we were actually able to close escrow on our old house two days before we closed escrow on our current home and my parents didn’t have to co-sign! That literally saved us thousands of dollars from having to refinance later or go through the hassle of doing a quit claim on our new house. It all worked out perfectly! Then, to top it off, Casey continued looking out for us after all was said and done by helping to navigate concerns with the new owners of the house we sold. We cannot say enough about how great our experience with Casey Cooke has been. Only someone like him could pull something like this off. Casey deserves every ounce of his success. He is a hard worker, a true professional, a family man and an overall good person. He truly cares about his clients. We are so grateful for his efforts on our behalf and highly recommend his services. Casey has a good mix of old and new Realtor practices. 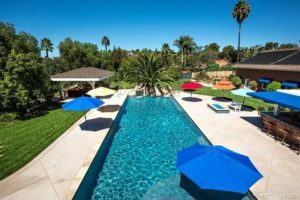 He still works directly with agents, buyers, sellers and vendors; yet, he is also very tech savvy. He made our dreams come true! I’ve previously worked with Casey on a business level and liked how he handled himself. When it was time to sell a rental property, he was the first person I thought of. 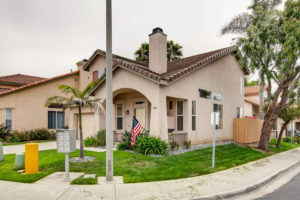 Casey handled the showings of that home with care, cautiously working around our tenant, and the home sold very quickly. Naturally, when we decided it was time to sell our primary home and move we once again thought of Casey. 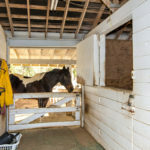 We were looking to buy a more complex, rural property with acreage and could tell that Casey knew a lot about them and that he was an expert on the market. Casey not only helped us find the right property with the best fit, but he finessed with the sellers to negotiate a contingency package based on the sale of our current home. One of the things we liked best about Casey is that he has a good mix of old and new Realtor practices. He still works directly with agents, buyers, sellers and vendors; yet, he is also very tech savvy. 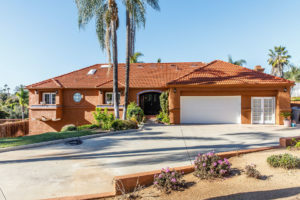 He utilized tools and resources like professional photos, video and social media for the sale of our home, but he still wanted to present our offer in person to the sellers as opposed to using email and a phone call. Casey was very on top of everything and it all turned out perfectly! We are very pleased with the transactions we’ve had with Casey Cooke. He made our dreams come true! Casey was awesome. I’m extremely satisfied with his level of service. After using USAA Movers Advantage for three other purchases/sales-I was leery about what he would provide. 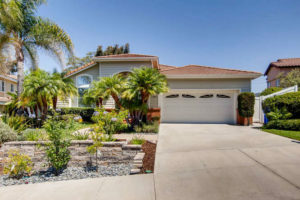 Additionally, I was facing two difficulties in selling our Oceanside home: I’m at Bragg and had a newborn arriving right when the home would hit the market. Casey worked with minimal guidance from me. That was huge plus on my end. He kept me abreast of the process and what we needed to do. I told him I needed him to provide honest assessments and advice-and he provided both. If we disagreed, I was the decision maker. He maintained communication at all times and I’m sure we were not his only client. It was nice to ask something to happen and then it occurs with no oversight on your end. I’m not saying you will duplicate our exact results as with our home sale-but we closed the sale a sizable amount above our list price due to small improvement projects (which Casey suggested) and how he got the word out about our house (Facebook, YouTube, open houses). I wish I was able to have him represent us every time we PCS. We were referred to Casey Cooke as an expert agent in our area and knew that he had previously sold a home on our street. He was very knowledgeable about Vista and the Buena Creek neighborhood. He came prepared to talk numbers and had a great marketing plan for our home. Throughout our experience, he was very patient, professional and helped us every step of the way. He responded quickly and put in a 100% effort for us – even over the holidays when many people take a break. Casey was always happy and upbeat and kept our spirits up when times got stressed. Most importantly, Casey listened. He knew we didn’t just want any family to buy our home. We wanted the right family. We wanted a amily with children to enjoy our home. Casey never pushed us to accept an offer that we didn’t feel right about. He knew that getting the asking price was important, but that finding the right buyer was key for us. We were very happy that we got both. Casey negotiated our asking price and found a good family to live in our home at 1065 Sugarbush Drive. Casey is a fabulous negotiator and an incredible agent. Anyone in the Vista or Buena Creek area looking for the same experience should consider Casey and his team. This is the second time we’ve purchased a home using Casey Cooke’s services. We chose him because we know from past experience that he is the best there is. This time around, Casey not only negotiated with the sellers to pay for extensive inspection repairs, but to also pay for the closing costs! In addition to being effective, Casey is reliable and is always quick to respond. We felt like he would drop everything to take care of us and he always made sure we got to see the homes we liked right away. He is likable and friendly, which always made it easy to pick up the phone to call or text him. We couldn’t be happier in our new home and wouldn’t choose anyone else to work with! We are extremely pleased with our experience working with Casey Cooke. We chose him because he seemed knowledgeable and had a good idea of what we wanted to do while selling our house. He came in with a strategy that made the most sense for us and he followed through with everything he said he would. He made sure our home was visible and marketed well, and we were able to sell within a short period of time. Overall Casey is easy to work with – he’s very straightforward and made the whole transaction free of stress and drama. He is really good about taking care of every single step. We didn’t have to get mired in all the little details because he was on top of it all. I first learned about Casey Cooke through a referral search program. After our first meeting, I knew he was the right choice. He came well-prepared with numbers, home values and a comprehensive home seller’s packet for me to review. He was on time, professional and very honest and forthcoming with information regarding my home and the market. In addition to knowing the market conditions, Casey knows his communities. In fact, he had a buyer lined up for my home before we even had to list it. 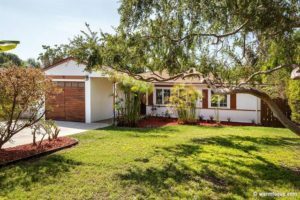 There were a few unexpected surprises with the buyer during the home selling process; however, Casey and his team were on top of everything and kept me in the loop. I happen to live in a different state than the home I was selling so Casey worked as my eyes and ears for me when I couldn’t be there myself and he represented my best interests while taking care of things on my behalf. 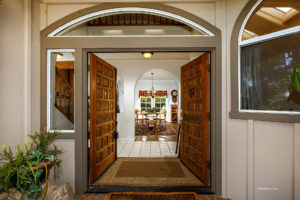 He even stepped up and helped the buyer find a new lender to help facilitate the sale. One of the things I liked the most about Casey is that he respected the fact that I live out-of-town and promptly responded to my calls, texts and emails. He is a great negotiator and a top real estate agent. I highly recommend his services. We’d certainly recommend Casey Cooke. He has the two essential complements of people skills and real estate experience. He is a sharp negotiator and was always on top of things. When Casey first came over to look at our house, he began making valuable suggestions for us before we even had a signed contract in place. We were impressed with his candor and knowledge about what a buyer would be looking and asking for. He pointed out many useful things for us to consider before selling and gave us great advice. We scheduled a follow up meeting at his office where he presented us with his marketing package and guarantees – that was a huge reason why we chose him as our Realtor. Not once did we feel uncomfortable when working with Casey. What probably impressed us the most is how much he went above and beyond to do what was needed to satisfy the buyer and keep things in motion. We had to navigate the homeowners association management company and Casey was great at coming up with creative ideas to do so. He was a good listener and offered the right balance of reason and caution while giving us his professional insight. We couldn’t have done better with anyone else selling our home. 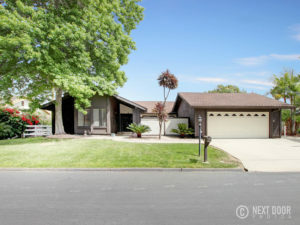 When we learned from my husband’s employer that we needed to sell our home to relocate to Northern California it was a bit frightening since it was the first home we had ever owned and we really did not know a whole lot about the selling process. I have some experience in the mortgage industry so have some knowledge of it but never having sold a home before it was a bit scary. My husband’s employer hired a relocation company to help with the sale and move. That company recommended Casey and another real estate agent and thank goodness for Casey. From the moment I met Casey, I immediately felt comfortable. He explained the overall selling process as well as how it would be different working with a relocation company. We hired Casey because of this and his experience selling homes and we would recommend him to others for the same reasons. One of the toughest things about our selling process was that we were already moved out of the area for most of the transaction since my husband had already started his new position. Casey was always available to assist us which was very important. 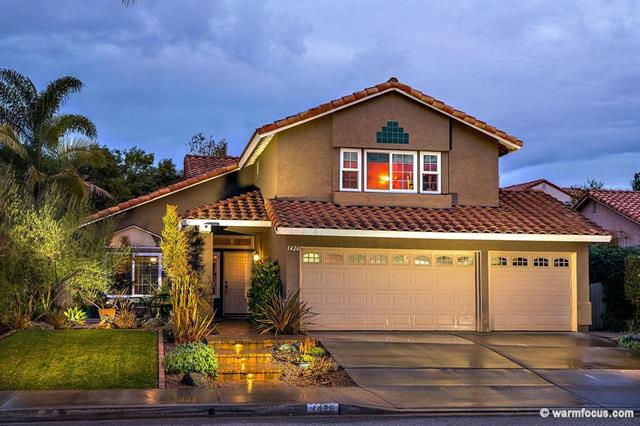 In the end our home went into escrow in 7 days and we sold it for nearly full price. We are very glad we used Casey and would recommend him to anyone buying or selling a home in the area. My husband and I listed our townhouse as we knew we had equity in the property and wanted to move up to a single family home with more outdoor living space. We met Casey at an open house and were immediately impressed with his customer service, knowledge and work ethic. 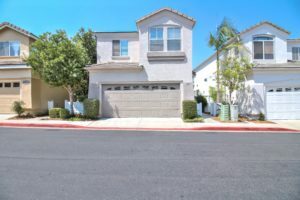 We put in an offer on that open house but didn’t get it as there were multiple offers and we were contingent buyers at the time and hadn’t listed our townhouse yet. We decided to use Casey based on our positive interaction with him during the bidding process on that first house. He worked tirelessly for us from the beginning, showing us multiple homes. We ended up finding a For Sale by Owner house and enlisted Casey to help with the process since we didn’t feel comfortable managing it ourselves. He went above and beyond to make the deal work and essentially did all the paperwork for the sellers, made the deal easier to understand and walked us through every step. Casey is not the type of realtor that pushes his client into a house that is not right for them, he even advised us against some houses as he could see they were not a good fit for us. He takes the time to listen and understand what his clients are looking for. We sold our townhouse within 3 weeks of putting it on the market. We didn’t have to have an open house and we didn’t even put a sign outside. Casey went out of his way to show our house when we weren’t home and took care of our dog so potential buyers could look around. He knew how to market the property and it was a very easy selling process. 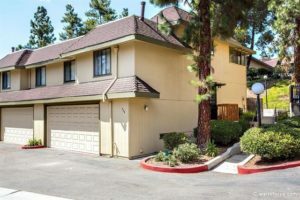 He also negotiated a rent-back for us with our buyer so we were able to stay in the townhouse while we were still looking then closing on the for sale by owner property. Overall, we had a very positive experience with Casey. He is knowledgeable, hard-working, friendly, and gets things done. We would highly recommend him to anyone buying and/or selling their home. He even introduced us to a program through our credit union USAA we qualified for since my husband is in the military that saved us hundreds of dollars on our closing costs! I am a 27-year-old woman from Germany who has never sold a house before and knew very little about the home selling process. With no personal recommendations, it was hard to find an agent to really trust. I heard about Casey Cooke from a postcard I received in the mail. It featured information on him as well as the approximate value of our home. I would have never thought our home was worth the amount shown, but Casey successfully marketed and sold it accordingly! From the moment I met Casey, I immediately felt comfortable. He thoroughly explained every single step of the home selling process to make sure I understood. I’m sure I asked the silliest questions, but Casey remained professional at all times. I ultimately chose Casey because of his remarkable marketing strategies and his confidence that he could help us sell our home at the highest price possible. He even introduced us to a program through our credit union USAA we qualified for since my husband is in the military that saved us hundreds of dollars on our closing costs! One of the best things about Casey is that he is always there to help and is always accessible. You may contact him in every given way possible, whether it’s via text message, email or even Facebook. He will get back to you immediately. He also knows the answers to everything regarding real estate and if he doesn’t know, he will find out for you. He is a pro at what he does. He understands the market and knows current home values. I had spoken to other agents who would not have listed our house at the price Casey did, yet we listed using Casey’s recommendation and got top dollar for our home. I am very glad I chose Casey and will choose him again without question. I highly recommend him because he does his job at 100% – no less. In fact, I have a feeling he works at 200% in order to reach 100%. Casey is a true expert. He is prompt, professional and strives to make your life easier as he sells your home for the highest value.